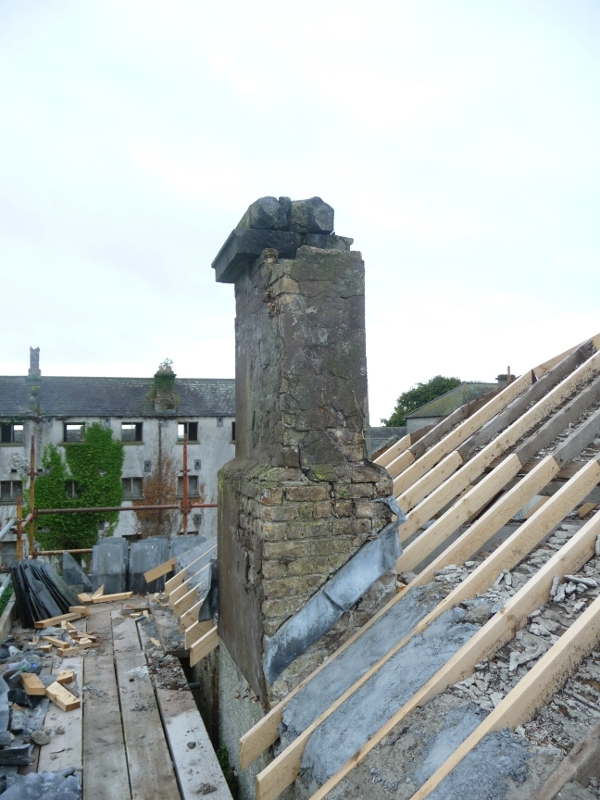 CHIMNEY RESTORATION IWC | Mathieu & Mitchell Ltd.
An initial inspection was carried out on all eight chimneys. It was agreed that none of the original plaster could be saved. 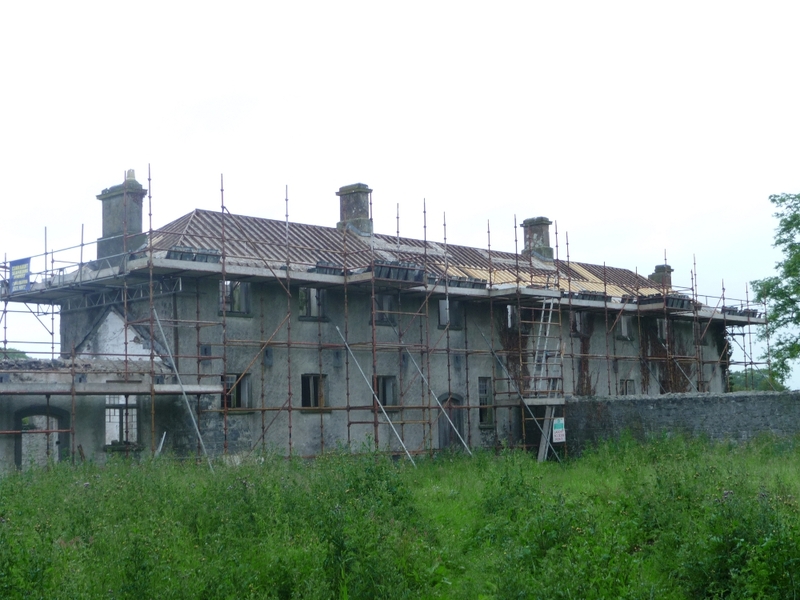 The remaining original plaster which was in very poor condition was removed. Synthetic fibers were used as a substitute for the animal hair which had been used in the original mix. Four courses of brickwork had to be removed, cleaned and re laid using lime mortar. 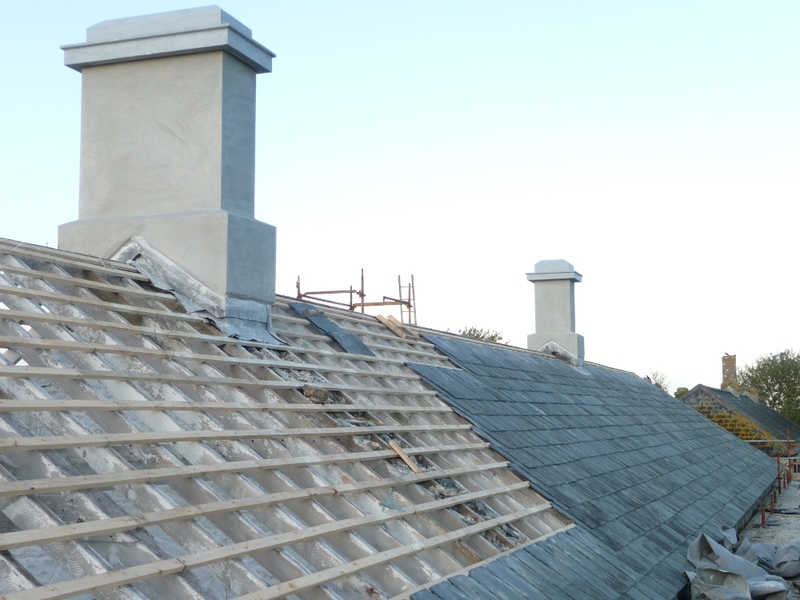 Loose mortar joints were removed and repointed using lime mortar. The surface was brushed to remove any debris. Deep hollows in the surface of the brickwork were filled out first and allowed to firm up before applying the first coat of render. The masonry was thoroughly wetted with clean water using a hose-pipe. Plastering bead was not applied to the corners as this would have given a modern appearance. 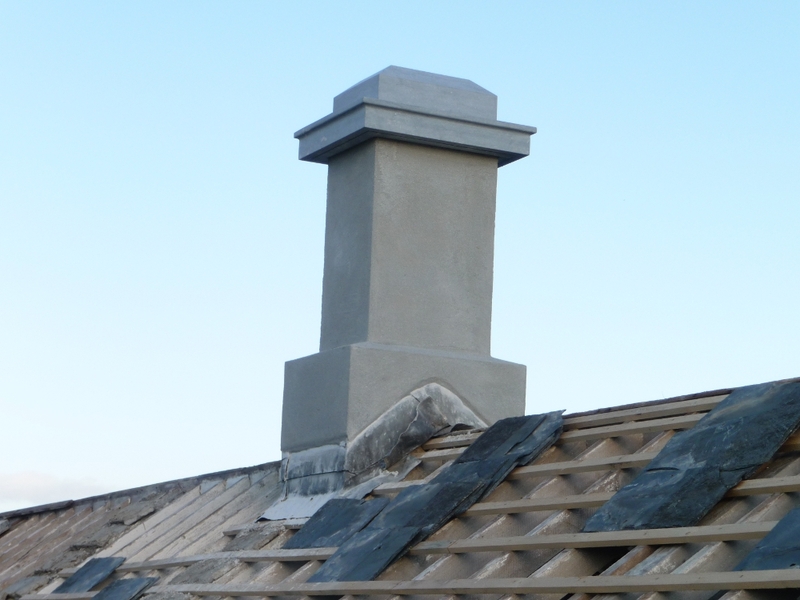 Lime mortar scratch coat was applied using as much pressure as possible to force the mortar into the surface crevices in order to form a close contact between mortar and backing. This technique ensured the best bond between the mortar and the brickwork, expelling any air in the mix and ensuring that the mortar was well compacted. Once the scratch coat was applied and a flat surface result, a finish coat was applied about three weeks later. This allowed the base coat to dry out slowly and start to carbonate. The work was protected from drying out too quickly by covering with damp hessian for three weeks. By this stage carbonation had started (but not very far advanced) and there was no further shrinkage in the base coat. The scratch coat had to be thoroughly dampened down before applying the finish coat. This method was dependent on a good mechanical key between the coats, and required a longer period for completion of the work.